Bula! I really wanted to experiment with texture paste over watercolours with this one. 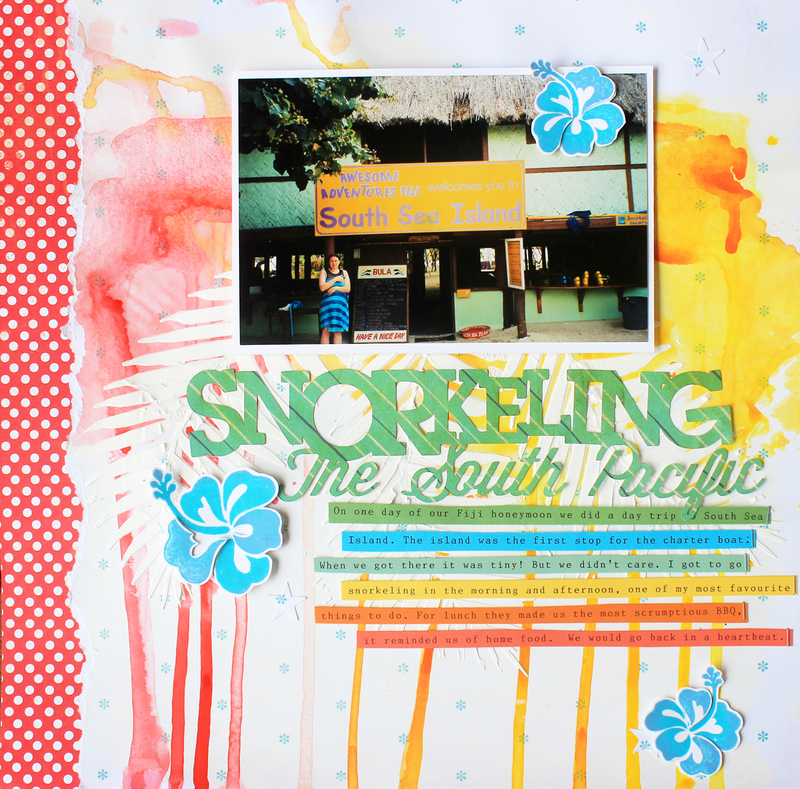 It simply didn't work out how I'd hoped, but it has inspired me to do some pocket page spreads of my honeymoon, where my hubby surprised me by taking me to Fiji, after a few days in Sydney. It was so lovely, and it was such a beautiful place, we would go back in a heartbeat! 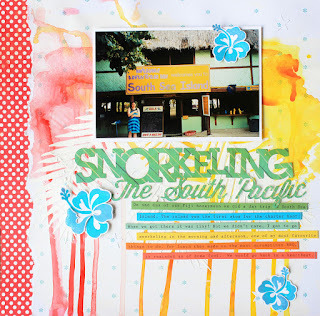 Love those background paint spills and the colourful journaling strips. What a great layout! THanks for joining in with us at Jot!